The wear of apron and gowns is necessary in healthcare settings to keep both faculty and patients safe. During patient care, healthcare workers may run the risk of being exposed to blood, vomiting, and sneezing, which consitutes a contamination risk. Also, cleaning surfaces and instruments, healthcare works are exposed to many potential contaminants. • Made of waterproof polyethylen to insure no types of liquid or blood pass through and contaminate healthcare workers or unknowlingly spread to patients. 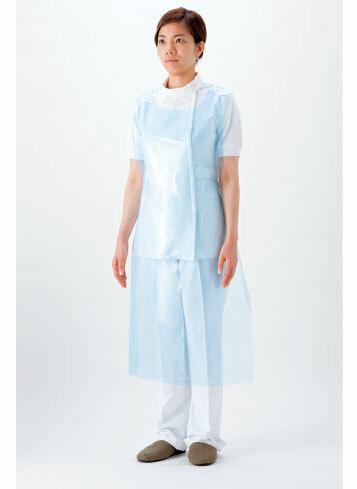 • One size fits all style is easy to wear and accomodates every healthcare worker.